The OnePlus X smartphone does a great job at giving users high-end specs for as low a price as possible to make it an appealing buy. However, with an aggressively competitive smartphone market in 2015, it isn’t necessarily going to be a huge success. Only time well tell on that front. Those who are reading this post after our subscribers have cleared out, will likely be reading it because you own the device. To that we applaud you because we love this device as much as you do. Something that makes us love this device even more than what we do now is installing a custom recovery and then getting root access so you can install those apps that need rooted devices. The following post shows you everything you need to install TWRP recovery on OnePlus X smartphone. Moreover, you can read the post for getting root access at the end of the guide for the custom recovery. That way you can enjoy both. You must unlock the bootloader on the OnePlus X smartphone  before you can install the custom recovery. 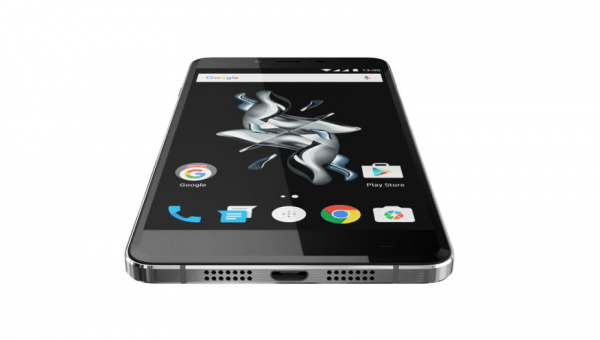 The following guide is put together for the new OnePlus X smartphone only. The file you find in this guide might be unique to this device and therefore should not be installed on any other device unless you know it works. Otherwise you might brick the device and you’ll need to find an unbrick guide to get it working again. Download the USB Drivers from our driver page . Those of you who cannot see any device connected after typing the first command of fastboot devices must install the USB Drivers again. Try the universal ADB driver or reboot the computer if downloading the OnePlus USB Drivers didn’t work for you. Installing a custom recovery on the new OnePlus X smartphone does and will void any warranty agreements you originally had with your OEM. You can flash the stock recovery back on the device and that warranty will work. Download the TWRP recovery from here . – extract the file and rename is recovery.img. Set up ADB and Fastboot on a Windows PC by using our detailed guide . You do not need to set it up again if you already have it on your Windows operating system. You may use the same one you have universally for all guides. Turn off the OnePlus X and reboot it in the fastboot mode/bootloader mode. Connect the device to the computer using the USB cable you would use for charging the battery. From within the TWRP recovery folder, hold the Shift key and right-click the mouse. Now choose to open a new command window here from the menu. Now you know how to install TWRP recovery on OnePlus X smartphones, you can use that knowledge to learn how to root OnePlus X smartphones .